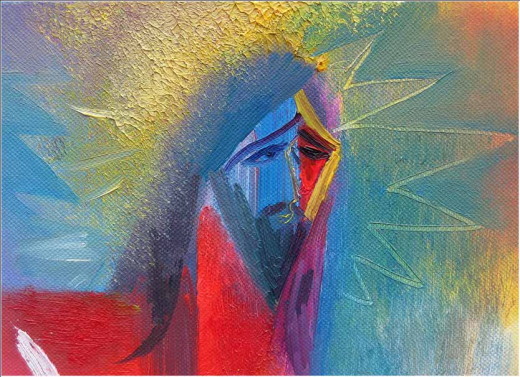 The Glory of Christ (detail), by Stephen B. Whatley, ca. 2008. Compassionate Lord, Your mercies have brought me to the dawn of another day. Vain will be its gift unless I grow in grace, increase in knowledge; ripen for spiritual harvest. Let me this day know You as You are, love You supremely, serve You completely, admire You fully. Like the bow in a cloud on a rainy day, such was the appearance of the splendor all around. This was the appearance of the likeness of the glory of the LORD. When I saw it, I fell on my face, and I heard the voice of someone speaking. 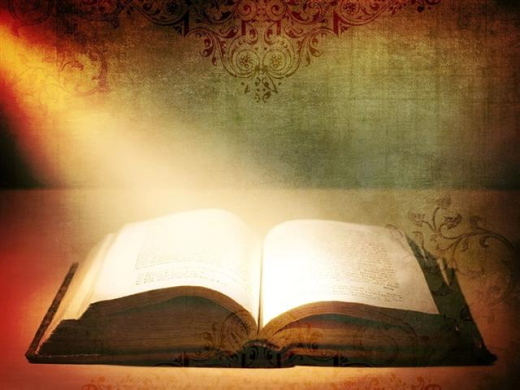 He said to me, O mortal, eat what is offered to you; eat this scroll, and go, speak to the house of Israel. So I opened my mouth, and he gave me the scroll to eat. He said to me, Mortal, eat this scroll that I give you and fill your stomach with it. Then I ate it; and in my mouth it was as sweet as honey. Since, then, we have a great high priest who has passed through the heavens, Jesus, the Son of God, let us hold fast to our confession. For we do not have a high priest who is unable to sympathize with our weaknesses, but we have one who in every respect has been tested as we are, yet without sin. Let us therefore approach the throne of grace with boldness, so that we may receive mercy and find grace to help in time of need. Every high priest chosen from among mortals is put in charge of things pertaining to God on their behalf, to offer gifts and sacrifices for sins. He is able to deal gently with the ignorant and wayward, since he himself is subject to weakness; and because of this he must offer sacrifice for his own sins as well as for those of the people. And one does not presume to take this honor, but takes it only when called by God, just as Aaron was. So also Christ did not glorify himself in becoming a high priest, but was appointed by the one who said to him, "You are my Son, today I have begotten you" as he says also in another place, "You are a priest forever, according to the order of Melchizedek." Now about eight days after these sayings Jesus took with him Peter and John and James, and went up on the mountain to pray. And while he was praying, the appearance of his face changed, and his clothes became dazzling white. Suddenly they saw two men, Moses and Elijah, talking to him. They appeared in glory and were speaking of his departure, which he was about to accomplish at Jerusalem. Now Peter and his companions were weighed down with sleep; but since they had stayed awake, they saw his glory and the two men who stood with him. Just as they were leaving him, Peter said to Jesus, "Master, it is good for us to be here; let us make three dwellings, one for you, one for Moses, and one for Elijah"-- not knowing what he said. While he was saying this, a cloud came and overshadowed them; and they were terrified as they entered the cloud. Then from the cloud came a voice that said, "This is my Son, my Chosen; listen to him!" When the voice had spoken, Jesus was found alone. And they kept silent and in those days told no one any of the things they had seen. 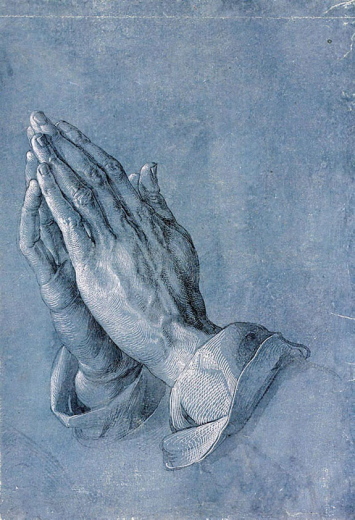 1 Bow down your ear, O LORD, and answer me, for I am poor and in misery. 2 Keep watch over my life, for I am faithful; save your servant who puts his trust in you. 3 Be merciful to me, O LORD, for you are my God; I call upon you all the day long. 4 Gladden the soul of your servant, for to you, O LORD, I lift up my soul. 5 For you, O LORD, are good and forgiving, and great is your love toward all who call upon you. 6 Give ear, O LORD, to my prayer, and attend to the voice of my supplications. 7 In the time of my trouble I will call upon you, for you will answer me. 8 Among the gods there is none like you, O LORD, nor anything like your works. 9 All the nations you have made will come and worship you, O LORD, and glorify your Name. 10 For you are great; you do wondrous things; and you alone are God. 11 Teach me your way, O LORD, and I will walk in your truth; knit my heart to you that I may fear your Name. 12 I will thank you, O LORD my God, with all my heart, and glorify your Name for evermore. 13 For great is your love toward me; you have delivered me from the nethermost Pit. 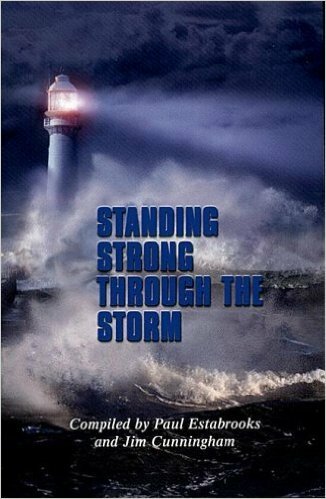 14 The arrogant rise up against me, O God, and a band of violent men seeks my life; they have not set you before their eyes. 15 But you, O LORD, are gracious and full of compassion, slow to anger, and full of kindness and truth. 16 Turn to me and have mercy upon me; give your strength to your servant; and save the child of your handmaid. 17 Show me a sign of your favor, so that those who hate me may see it and be ashamed; because you, O LORD, have helped me and comforted me. Ephesians 2:8-9 (ESV) For by grace you have been saved through faith. And this is not your own doing; it is the gift of God, not a result of works, so that no one may boast. Have you ever been stumped for words when you were trying to pray? You want to pray, but the words just won't come. Perhaps you think up some old prayer that you know by memory and say that; or perhaps you just stumble around, trying not to feel frustrated. These things happen to everyone who tries to pray from the heart. God loves it when we pray from our hearts. He loves us and when we open ourselves to him with our deepest and most unguarded thoughts and feelings, He notices and comes to us. But if we aren't even making sense to ourselves, how can we make sense to Him? The Bible quote above is taken from the book of Hebrews, which was written for — you guessed it — the Hebrews, to explain to them about Jesus. Judaism had priests, from the tribe of Levi, who would offer prayers and sacrifices on behalf of people, groups of people, or the whole nation. So the Jews asked, “If we accept this Jesus, who will our priests be?” The answer is that Jesus is our high priest. We do not have to say a word, because He knows exactly what to pray. The Holy Spirit is in us and knows every single thing about us. So if you are at a loss for words in prayer, all you have to do is ask Jesus to pray for you; or, you can ask the Holy Spirit to pray for you — they aren't jealous of each other! If the prayer is in your heart, God will find the words for you. He isn't praying to Himself, don't worry; He is using the grace He gave you, when you were reborn in Christ, to help you transmit your prayer. So if you are ever at a loss for words, concentrate on your prayer and don't worry about the words. God would rather have your heart than your speech. His name means: "He [God] Has Given"
His work: He was a prophet in Israel during the reign of King David and the early years of King Solomon. His character: Nathan was a fearless man whose obedience to God's voice put him nose to nose with the most powerful person in the land, first announcing that King David would not have the honor of building the temple and later declaring his immorality and his severe punishment for it. His sorrow: With great hopes for Israel's success under the monarchy, Nathan was an eyewitness to sin, corruption, and mutiny that tore the nation apart. His triumph: Because of his own faithfulness, Nathan was given the privilege of being God's mouthpiece to an entire nation. Nathan loved David, the king of Israel. The proof of this love was in Nathan's allegiance to the monarch and his sincere attempts to encourage the king, even to the point of affirming his ideas of a grand temple when God had not blessed the venture. But the acid test of the prophet's affection was not in supportive or affirming words, but in truthful confrontation—the kind of confrontation that could cost the prophet his friendship with the king, not to mention his life. Nathan was clever and creative. His involvement in the selection of worship music in the sanctuary (2 Chronicles 29:25) tells us of his sensitivity. His personal involvement in the naming of the baby Solomon hints to us of Nathan's tenderness (2 Samuel 12:25). But Nathan had been given a terrifying assignment fit for the bravest warrior. And, if the nature of the commission wasn't tough enough, it had come as a directive of the living God. Friendships are often put to the test over long hours of work or waiting. Friends pay a price by listening or issuing words of love and encouragement. But friendship knows no bravery like the bravery of brutal, truthful confrontation. Those who have named this clash of emotions "tough love" have named it well. It is tough, but it is also the deepest form of love. Although it was not Nathan's only challenge during David's reign, the confrontation following the king's adulterous affair with Bathsheba and murderous attempt to cover it up was his most grueling. But instead of going nose to nose with David—a strategy that could have gotten Nathan in serious trouble—the prophet told a story. Drawing out the compassionate shepherd in the king, Nathan told him a story of a poor man's family, their only possession a ewe. Much more than simply an animal on the man's farm, this lamb was in every way a household pet. It "shared the man's food, drank from his cup, and even slept in his arms." The lamb was "like a daughter to the man." Nathan must have known, as he watched the king's face, that David was captivated by the tale. "In the same town was a rich man," Nathan continued. "Now a traveler came to the rich man, but the rich man refrained from taking one of his own sheep or cattle to prepare a meal…. Instead, he took the ewe lamb that belonged to the poor man and prepared it." David was blind with rage. "The man who did this deserves to die!" Nathan must have taken a deep breath, knowing he had the king exactly where God wanted him to be. "You are the man," Nathan said in measured tones. "You are the man." The great challenge in truth telling, even with a close friend, is to keep the focus on the deed and the guilty party, not on the confronter's need to be right. In this, Nathan was brilliant. In Nathan's message, David clearly heard God's voice. Years later David would write: "Against you [the LORD], you only, have I sinned and done what is evil in your sight" (Psalm 51:4). Nathan dared to prove his love for his friend by telling him the truth in loving confrontation. And so skillful was the prophet at dealing with the king that when the third child was born to David and Bathsheba, they named him Nathan after the man who risked it all. Praise God: Because he is quick to forgive. Offer Thanks: That God does not hold our sins against us as long as we repent. Confess: Any sin you have tried to hide from yourself and from God. But Jesus often withdrew to the wilderness for prayer (Luke 5:16, NLT). Have you ever felt like you were wandering in circles? Like you do the same things over and over again - laundry, groceries, emails. You visit the same spots - kid's school, gym, work, church. Certain seasons of life can feel like a holding pattern in more ways than one. Spiritually, physically, and emotionally there are times when we just don't seem to be getting anywhere. Is there a difference between perspiration and inspiration? Could I be missing something important God has called me to do? Do I need to rediscover the great value in the mundane routine of my life or is there something more God is calling me to pursue? The people of Israel found themselves in a 40 year long holding pattern after they grumbled and disobeyed God. During this time they ate the same food, wore the same clothes, and circled the same wilderness. God provided for them, taught them lessons, and carried out some consequences for their attitudes and behaviors during this time. The story of the Israelites in the wilderness is the sort of Old Testament event that was never forgotten. The Psalms, prophets, gospels, and several New Testament letters make reference to the lessons learned from the wilderness wanderings. Later God fulfilled every promise He made to His people in giving them victory in the land of promise. They defeated their enemies in Canaan and were once again able to cultivate the soil, make new clothes, and live in more permanent dwellings. The wilderness wasn't forever, but it probably felt that way for the people moving through the desert with nothing but manna to eat and dreams of a future home. "But Jesus often withdrew to the wilderness for prayer." It reminded me that the wilderness is often a place of preparation. The Israelites took a census and got organized during their time in the wilderness. John the Baptist was a voice crying out from the wilderness. Jesus spent 40 days fasting in the wilderness before beginning His public ministry. Once Christ began healing and teaching, people followed Him everywhere, but He often withdrew to the wilderness for prayer. When we feel stuck in routine, like the landscape never seems to change, we can be proactive in prayer during our own wilderness seasons. If we feel unsatisfied or unsure of our purpose, we should withdraw and pray. If we are weary and tired but uninspired, then we should withdraw and pray. If we know God has big things ahead for us, then we should withdraw and pray so we can be prepared for what lies ahead. Jesus has things for us to learn in the wilderness, but we need to follow His example to withdraw and pray so we'll be prepared for all God has in store! Dear Lord, help me to reframe seasons that seem mundane. Show me what You are doing and how I can draw near to you. Just as you withdrew to pray in the wilderness, I want to spend time with you when I’m in a season that feels dry or isolated. I long to redeem even the most blah days into times when I can prepare and pray. So when can you withdraw today? Can you steal away for an hour, half an hour, or even ten minutes and get in God's presence? Pour out your heart to Him, ask Him for clarity, and make a list of any nudges toward action you sense while in His presence. 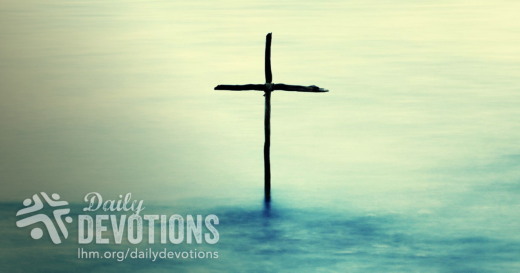 LHM Daily Devotion - May 26, 2017 "Tearing down the Walls"
Isaiah 59:1-2 - Behold, the LORD's hand is not shortened, that it cannot save, or His ear dull, that it cannot hear; but your iniquities have made a separation between you and your God, and your sins have hidden His face from you so that He does not hear. In his poem "Mending Wall," the poet Robert Frost quotes a line spoken by the man who owns the farm next door to his. The man says, "Good fences make good neighbors." There is more than a bit of truth to that. In October 2013 a boat carrying refugees from the troubled country of Syria capsized. The accident threw the elderly, the children - everyone -- into the water. One of the men on the boat, Dr. Mohammed Jammo, had a cell phone he used to make a number of distress calls to authorities on shore. In those calls he shared how they were going to die if someone didn't respond with assistance. Now here is where those good fences don't always make for good neighbors. The capsized boat was in waters over which Malta had authority. Unfortunately, Malta had no ships in the immediate area that could help with the rescue. Knowing they couldn't do anything, the Maltese told Dr. Jammo to call the Italians. As suggested, Dr. Jammo sent a text to the Italians, who did have a ship in the area. The doctor received a less-than-warm reception to his request. The doctor received the cold shoulder because Italy, like many countries, is having problems with immigrants. It seems many refugees are coming to Italy and are refusing to be assimilated into society. That is why the Italian ship was not overeager to pick up, and then drop off in Italy, hundreds of unwanted and unwelcomed people. The Italians told Dr. Jammo to contact Malta. This diplomatic tennis match continued for hours. Finally, a compromise was reached. Italy would send its ship if a Malta fly-over would first check to see if the boat had actually capsized and if there were people in the water who still needed assistance. During the hours of debate and discussion 268 Syrians, including 60 children, died. Have you ever noticed that Scriptures records the Lord holding no such discussion or debate as to what should be done after humanity fell into sin? There is no argument about what -- if anything -- should be done to rescue a world that was drowning in transgressions. No, God saw our helpless condition and He did something about it: He sent His Son to take our place under the Law and our death upon His cross. Jesus' third day resurrection from the dead is God's proof that He would have all men to be saved and come to a knowledge of the truth (see 1 Timothy 2:4). Después de la clase de inglés, me puse a hablar con un estudiante acerca del cristianismo. Él estaba intrigado por la esperanza que la fe en Cristo ofrece a las personas. "La verdad es que suena muy bien", dijo. "Uno no tiene que esforzarse por borrar sus pecados porque ya están perdonados, y puede vivir en paz porque sabe que va a pasar la eternidad en el cielo por creer en Jesús". "Tú también puedes tener esa paz", le dije. "Sólo necesitas creer en Jesús." "Pero yo soy tai", me contestó, "y los tai somos budistas. El cristianismo es para los occidentales, no para nosotros". No es inusual que los tai crean que el cristianismo es la religión de occidente, ya que escuchan que los Estados Unidos, Australia, Gran Bretaña, Francia, y Alemania, son países cristianos. Después de más de 200 años de trabajo misional en Tailandia, sólo un 16 por ciento de la población es cristiana, así que no hay muchos ejemplos que los demás puedan seguir. El budismo está tan entretejido en la cultura de este país, que muchos creen que ser tai y ser budista son dos cosas inseparables, por lo que piensan que, si no son budistas, no son verdaderos tais. Pero la Biblia es muy clara al respecto, pues dice que la salvación es para todas las personas. Jesús murió en la cruz por y para todos. Él dijo: "Pero yo, cuando sea levantado de la tierra, atraeré a todos a mí mismo" (Juan 12:32). 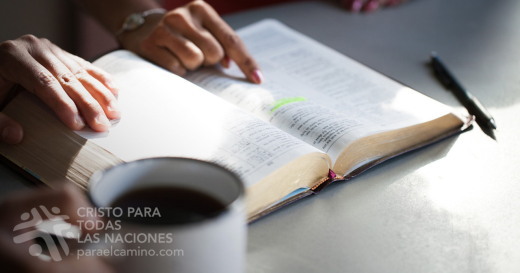 Más aún, la Biblia también dice que Dios "quiere que todos sean salvos y lleguen a conocer la verdad" (1 Timoteo 2:4). Dios creó a todas las personas; por lo tanto, a todas las ama por igual y quiere que todas lo conozcan y vayan a vivir con él en el cielo. Como cristiano enseñando inglés en Tailandia, tengo oportunidades de compartir mi fe con mis estudiantes. Sin embargo, mi piel blanca y mis rasgos occidentales no hacen más que confirmar, en sus mentes, la idea de que el cristianismo es la religión para el occidente y no para ellos. La mejor forma de que comprendan que es posible ser tai y cristiano es a través del testimonio de tais cristianos. Biografía del autor: Esta devoción fue escrita por Dennis Denow, ex misionero de la LCMS y esposo de Monta Ekwanit, directora del ministerio de Cristo Para Todas Las Naciones en Bangkok, Tailandia. 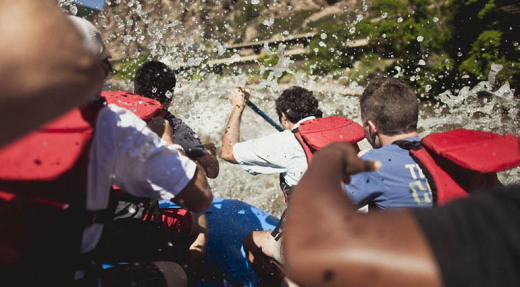 I was enjoying the start of my first whitewater rafting experience—until I heard the roar of the rapids up ahead. My emotions were flooded with feelings of uncertainty, fear, and insecurity at the same time. Riding through the whitewater was a first-rate, white-knuckle experience! And then, suddenly, it was over. The guide in the back of the raft had navigated us through. I was safe—at least until the next set of rapids. Transitions in our lives can be like whitewater experiences. 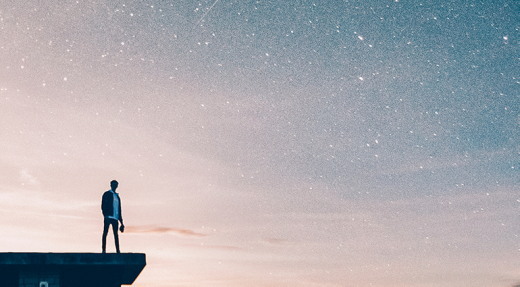 The inevitable leaps from one season of life to the next—college to career, changing jobs, living with parents to living alone or with a spouse, career to retirement, youth to old age—are all marked by uncertainty and insecurity. In one of the most significant transitions recorded in Old Testament history, Solomon assumed the throne from his father David. I’m sure he was filled with uncertainty about the future. His father’s advice? 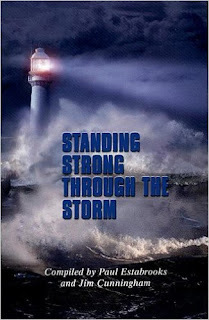 “Be strong and courageous, and do the work. . . . For the Lord God, my God, is with you” (1 Chron. 28:20). We’ll have our fair share of tough transitions in life. But with God in our raft we’re not alone. Keeping our eyes on the One who is navigating the rapids brings joy and security. He’s taken lots of others through before. God guides us through the rapids of change. Hoje é o dia da Ascensão — um dia que muitas vezes é negligenciado. A data marca a ocasião em que o Cristo ressurreto subiu ao Pai, em glória, 40 dias depois da Páscoa. Thomas resumiu o que significa a ascensão para os cristãos. Ela fala de uma redenção que se cumpriu (Hebreus 8:1), a obra de sumo sacerdote do Salvador (Hebreus 4:14), seu senhorio sobre a igreja (Efésios 1:22), sua intercessão por nós junto ao Pai celestial (1 Timóteo 2:5), a vinda do Espírito Santo no Dia de Pentecostes (Atos 2:33), a presença do Senhor junto a nós hoje (Mateus 28:20) e a expectativa de Sua volta a esta terra (1 Tessalonicenses 4:16). Pense nisso! Jesus não somente morreu, mas ressuscitou dos mortos, voltou para o Pai e está intercedendo por nós agora mesmo. E Ele voltará novamente. Que este dia da Ascensão seja um tempo de regozijo especial e de gratidão a Deus. Jesus, que morreu para nos salvar, agora vive para nos guardar. Tôi rất thích thú khi mới bắt đầu trải nghiệm chèo bè vượt thác cho đến khi tôi nghe thấy tiếng ồn của thác ghềnh ở phía trước. Cảm xúc của tôi lúc bấy giờ tràn ngập cảm giác bất an, lo sợ và bấp bênh. Chèo bè qua dòng nước xiết thật là một kinh nghiệm tuyệt vời nhưng cũng đầy khiếp sợ! Và rồi bỗng nhiên mọi thứ đều qua đi. Người hướng dẫn ngồi phía sau chiếc bè đã lèo lái để đưa chúng tôi vượt qua tất cả. Tôi đã được an toàn, ít nhất là cho đến khi phải đối diện với những ghềnh thác tiếp theo. Những bước chuyển tiếp trong đời sống cũng tương tự như kinh nghiệm vượt thác vậy. Những thay đổi không thể tránh khỏi từ giai đoạn này sang giai đoạn khác của cuộc sống — từ đi học sang đi làm, thay đổi công việc, từ việc sống với bố mẹ sang dọn ra ở riêng hay lập gia đình, từ đi làm sang nghỉ hưu, từ trẻ tuổi sang già yếu — tất cả đều tạo ra cảm giác bất an và bấp bênh. Một trong những bước chuyển biến quan trọng được ký thuật lại trong lịch sử Cựu Ước là việc Sa-lô-môn nối ngôi cha là Đa-vít. Tôi chắc rằng ông cũng rất bất an về tương lai. Cha ông đã khuyên gì? “Hãy mạnh mẽ và can đảm mà làm… vì GIÊ-HÔ-VA Đức Chúa Trời, tức là Đức Chúa Trời của cha, ở với con” (1 Sử. 28:20). Chúng ta đều sẽ phải đối diện với những bước chuyển tiếp khó khăn trong cuộc sống. Nhưng có Chúa ở cùng, chúng ta không hề cô đơn. Hãy tập chú vào Đấng có thể điều khiển dòng chảy để đem lại niềm vui và sự đảm bảo. Ngài đã đưa rất nhiều người vượt qua những khó khăn. Chúa sẽ hướng dẫn chúng ta vượt qua những thay đổi của cuộc sống. … el Señor Dios, mi Dios, estará contigo; él no te dejará ni te desamparará… (v. 20). Estaba disfrutando de mi primera experiencia de rafting en aguas bravas, hasta que escuché el rugido de los rápidos que se acercaban. Me inundaron sentimientos de incertidumbre, temor e inseguridad al mismo tiempo. ¡Fue una experiencia excelente pero aterradora! Y, de repente, había terminado. El guía nos había llevado a buen puerto. Las transiciones en nuestra vida pueden ser como navegar por aguas turbulentas. Los saltos inevitables de una etapa a la otra —de la universidad al trabajo, de un empleo a otro, de vivir con los padres a vivir solo o con un cónyuge, del trabajo a la jubilación, de la juventud a la ancianidad— están marcados por la incertidumbre y la inseguridad. En una de las transiciones más significativas registradas en el Antiguo Testamento, Salomón subió al trono de su padre David. Seguramente, estaba lleno de incertidumbre sobre el futuro. ¿Qué le aconsejó su padre? «Anímate y esfuérzate, y manos a la obra […] porque el Señor Dios, mi Dios, estará contigo» (1 Crónicas 28:20). En la vida, tendremos una buena cantidad de transiciones difíciles. Pero, con Dios, no estamos solos en nuestra barca. Mantener los ojos en Aquel que navega los rápidos nos da gozo y seguridad. Ya ha atravesado muchos con éxito. Señor, gracias por ser nuestro Guía fiel en los rápidos de la vida. Dios nos guía por los rápidos de los cambios. Ich war das erste Mal beim Wildwasser-Rafting dabei und ganz begeistert—bis ich vor uns das Rauschen von den Stromschnellen hörte. Plötzlich schwankten meine Gefühle zwischen Unsicherheit, Angst und Zweifel. Ich spürte, das hier war nichts für Angsthasen! Und dann war es schon vorüber. Der Führer hinten im Schlauchboot hatte uns durchgelotst. Ich war in Sicherheit—zumindest bis zu den nächsten Stromschnellen. Übergänge in unserem Leben können uns vorkommen wie Wildwasser-Bootsfahrten. Die unvermeidlichen Sprünge von einer Lebensphase in die nächste—von der Ausbildung in den Beruf, Jobwechsel, vom Elternhaus in die erste eigene Wohnung oder Ehe, vom Beruf in den Ruhestand, von der Jugend ins Alter—sind geprägt von Zweifeln und Unsicherheiten. 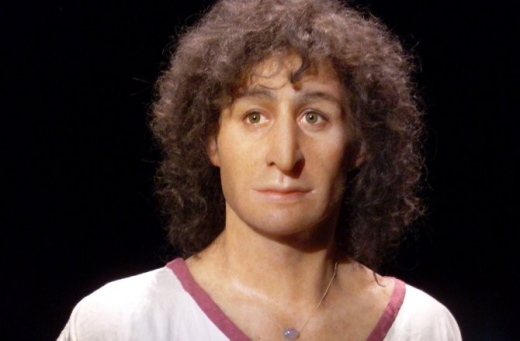 Einer der wichtigsten Übergänge, von dem das Alte Testament berichtet, war der Thronwechsel von David zu seinem Sohn Salomo. Ich bin sicher, dass auch Salomo unsicher war im Blick auf die Zukunft. Was riet ihm sein Vater? „Sei getrost und unverzagt und richte es aus . . . Gott der Herr, mein Gott, wird mit dir sein“ (1.Chron. 28,20). Wir werden unseren Anteil an Übergängen erleben. Aber mit Gott im Boot sind wir nicht allein. Wenn wir unseren Blick auf den Einen gerichtet halten, der uns durch die Stromschnellen lotst, können wir froh und gewiss sein. Er hat schon viele andere sicher hindurchgeführt. Gott lotst uns sicher durch alle Veränderungen. Je commençais à tirer plaisir de ma toute première expérience de rafting quand un rugissement en aval m’est parvenu aux oreilles. Aussitôt, un sentiment d’incertitude, de peur et d’insécurité m’a envahi. Naviguer les rapides constituait une expérience à la fois exaltante et terrifiante ! Puis, soudain, tout s’est terminé. Le guide assis à l’arrière nous les avait fait traverser. J’étais maintenant en sécurité – du moins jusqu’aux rapides suivants. Les périodes de transition peuvent ressembler à cette expédition de rafting. Le passage inévitable d’une période de la vie à la suivante – de l’université à la carrière, le changement d’emploi, de la vie sous le toit parental à la vie en solitaire ou au mariage, de la carrière à la retraite, de la jeunesse à la vieillesse – est forcément marqué par l’incertitude et l’insécurité. L’une des transitions les plus importantes rapportées dans l’Ancien Testament est celle où Salomon est monté sur le trône de son père, David. Je suis certain qu’il était alors en proie à l’incertitude quant à l’avenir. Le conseil de son père ? « Fortifie‑toi, prends courage et agis […] Car l’Éternel Dieu, mon Dieu, sera avec toi » (1 CH 28.20). Nous aurons tous notre lot de transitions difficiles dans la vie. Reste qu’avec Dieu dans notre raft, nous ne sommes pas seuls. Si nous gardons les yeux fixés sur celui qui navigue les rapides, cela nous procurera de la joie et de la sécurité. Il en a fait traverser beaucoup d’autres déjà. Dieu nous guide à travers les rapides du changement. Я радів, що нарешті почався мій перший рафтінг. Радів, доки не почув попереду гуркіт пінястої води. Мене сповняли водночас почуття страху, невпевненості й небезпеки. Плавання бурхливою річкою виявилось справді першокласним, “адреналіновим” досвідом! А потім раптово все втихло. Наш гід, що сидів позаду, щасливо провів нас крізь перешкоди. Я почував себе в безпеці – принаймні, до наступних водоспадів та порогів. В один із найбільш важливих перехідних моментів періоду Старого Завіту Соломон мав наслідувати трон свого батька Давида. Я впевнений, що невідоме майбутнє лякало молодого Соломона. І тоді йому порадив батько: “Роби, не бійся та не лякайся, бо Господь Бог, Бог мій, з тобою” (1 Хр. 28:20). Всі ми проходимо крізь нелегкі періоди змін у нашому житті. Але ми не самотні на своєму шляху. З нами Господь. Якщо не зводимо погляду з Того, Хто надійно проводить крізь бурхливі води, нас сповняє впевненість, радість. Господь вже так багато пілігримів провів крізь життєві пороги. Бог надійно проводить крізь бурхливі ріки життя. Я участвовал в рискованном предприятии – спуске по горной реке, изобилующей порогами. Все было хорошо, пока я не услышал шум воды, бурлившей между камнями. Сердце тут же наполнилось тревогой. Когда нас понесло на камни, я был охвачен ужасом и восторгом одновременно. А затем вдруг все закончилось. Опытный проводник, сидевший у руля, благополучно провел нашу лодку между порогов. Мы были в безопасности. Перемены обстоятельств нашей жизни похожи на пороги горной реки. Вчера мы учились, а сегодня ищем работу. Были одиноки, а теперь женимся. Работа сменяется пенсией, брак – вдовством. Все это несет на себе отпечаток неопределенности и угрозы. Во время одной из знаменательнейших перемен Ветхого Завета молодой Соломон занял место своего отца Давида на престоле Израиля. Несомненно, он был полон трепета перед неизвестным будущим. И отец сказал ему: «Будь тверд и мужествен, и приступай к делу... ибо Господь Бог, Бог мой, с тобой» (1 Пар. 28:20). Ваше сердце не раз сожмется от предчувствия опасности. Однако помните: вы не одиноки. В вашей ладье вместе с вами находится опытный Проводник, Который провел через угрожающие камни многих подобных вам пилигримов. Впереди ждут чистые и спокойные воды. Бог проведет вас через пороги перемен.